THANK YOU to all of the volunteers, staff, board members and sponsors who helped to make our annual spring cleanup such a big success. The Neponset River and surrounding areas are cleaner today because of you! Somehow we managed to catch one of the few nice days of the spring – a clear, mild day in the 70’s. 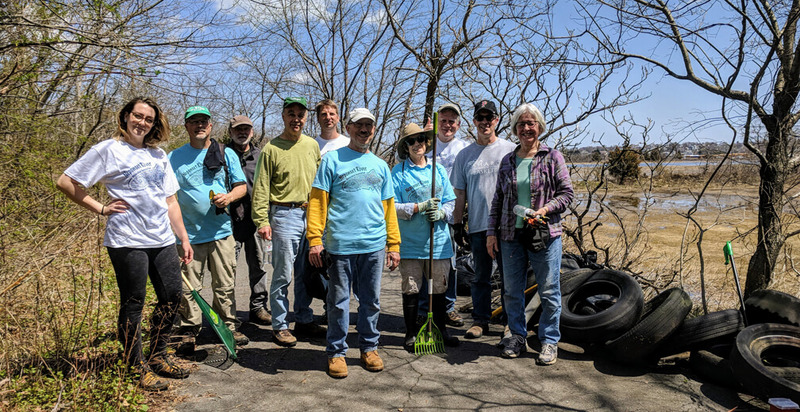 By 9am, there were about 250 volunteers spread out along the Neponset River and watershed area, from Squantum Point in Quincy to Devoll Field in Canton. 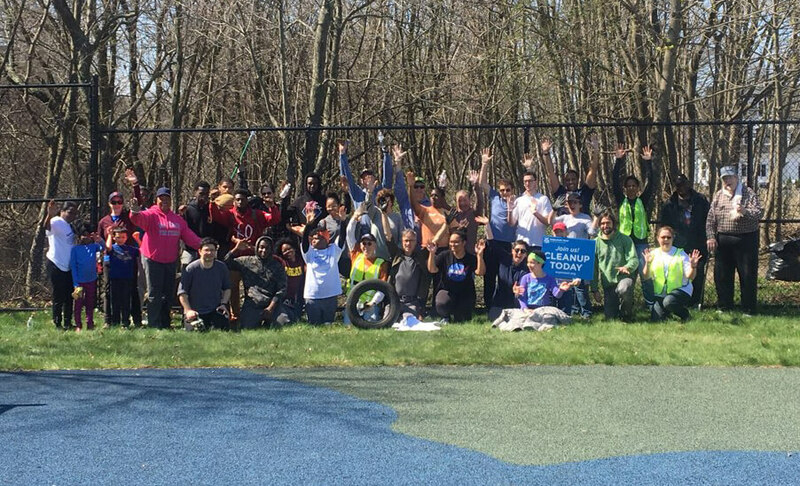 This year’s cleanup was especially ambitious, as we included new sites at Tenean Beach in Dorchester; Truman Parkway near Paul’s Bridge in Hyde Park; the Edgewater Drive neighborhood in Mattapan; the estuary marshes, Pine Tree Brook and Pope’s Pond in Milton; and a site at Devoll Field in Canton. CLICK HERE TO VIEW PHOTOS OF THE 2018 NEPONSET SPRING CLEANUP. Squantum Point, Quincy – before & after the cleanup. Presenting Sponsor ENE Systems, Inc. The Shorelines Need Your Help! Join the Neponset River Cleanup on April 28.